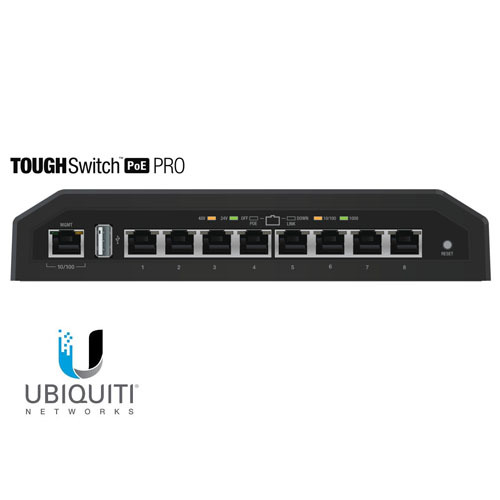 TOUGHSwitch PoE PRO Gigabit Ethernet performance combined with Industrial strength construction and a 150Watt power supply. The TOUGHSwitch PRO version is capable of powering up to eight 24V or 48V devices with software selectable output voltage control. The TOUGHSwitch supports 24V or 48V passive PoE to power multiple devices on your network. The TOUGHSwitch™delivers uptime performance equal to leading carrier or enterprise technology solutions. Featuring software-selectable output voltage control, the TOUGHSwitch™PoE PRO and Carrier models can power 24V or 48V devices.